Gretha Bester joins our team with a wealth of experience, including neuro-rehabilitation and general hospital treatment in a variety of hospitals in the Western Cape, Free State and North West. 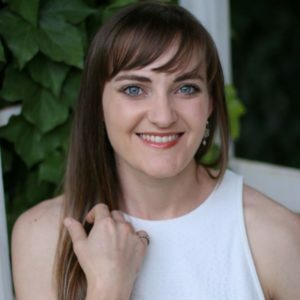 She is skilled in Dryneedling, Leuko Sport Clinical strapping and First Aid in Sport. She recently completed her post graduate diploma in orthopaedic manipulative therapy, which is a highly regarded year-long post-graduate physiotherapy qualification. Gretha has a passion for neuromusculoskeletal pain management and rehabilitation. She is driven by her love for exercise and believes in promoting a healthy lifestyle. Gretha recently came 4th in The World Fitness Federation Championships in Los Angeles and has a passion for gym training and healthy eating in order to maximise performance. Her aim is to help patients overcome pain and dysfunction and return to full function, and applies all her experience in training to her rehabilitation programs and strives to help patients to reach their optimal functional level. She graduated from the University of the Free State in 2014.